I completely adhere to this quote. Our hair is an integral part of our personality and the way we take care of it, reflects and define its shine and strength. With pollution affecting our hair for the bad, we naturally resort to shampoos and conditioners to improve the quality of our hair. But, they contain harmful chemicals which do us no good either. Also, the shampoo doesn’t always suit our hair and could lead to hair fall and damage. A Shampoo which incorporates natural and pure herbs, the best of exotic fruits and ingredients, to protect and nourish our hair. Wait, I’m not done yet! Aren’t we aware that just like our personality, each one of us own hair individuality, that is, everyone has different hair problems, hair conditions and hair nourishment requirements, agree? Hence, a shampoo which meets the uniqueness and individuality of each one of us, makes sense? Great! And not to forget that it must be chemical-free to lessen or eliminate hair damage. Perfect? Well, I had the chance to review the recently launched Garnier Ultra Blends Hair Care Range of Shampoos (I did miss the event, though! *Sighs*) and I must begin with applauding them for the perfectly and beautifully packed hamper that I received for the review. It in a way should how much effort goes into being the best to your customer. 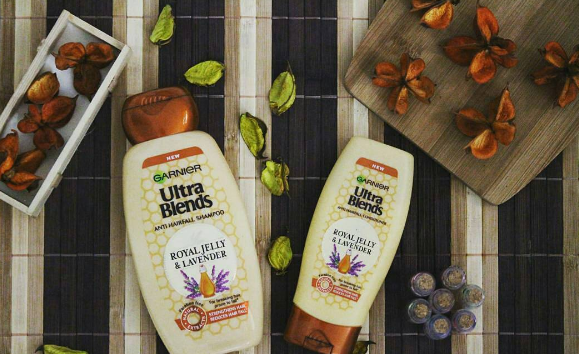 Garnier Ultra Blends goes by the tagline, “There is a blend for every hair type. Discover yours!” and so have they released a range of hair care products which are meticulously designed and executed to match the hair care problems faced by us. Garnier 5 Precious Herbs is a blend of 5 revered herbs namely, green tea meant to stimulate micro-circulation, eucalyptus to refresh, lemon to revitalize and enhance the natural shine, aloe to revitalize the scalp and hair, and henna to infuse life into dull and dry locks. 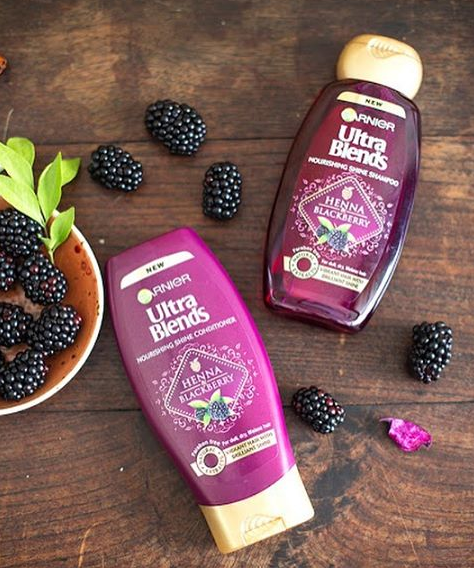 Garnier Henna and Blackberry is blended with a unique combination of natural herbs, namely, Henna to infuse life into dull and dry locks and Blackberry to make our hair shine with life. It is best suited for hair which lacks nourishment and shine. Garnier Royal Jelly and Lavender is a rich blend of gelatinous Royal Jelly with the sensorial effect of Lavender, which re-builds and restructures the hair strand by strand. Royal Jelly is meant to reinforce and strengthen the hair, while Lavender purifies and renews. It is best suited for hair fall. 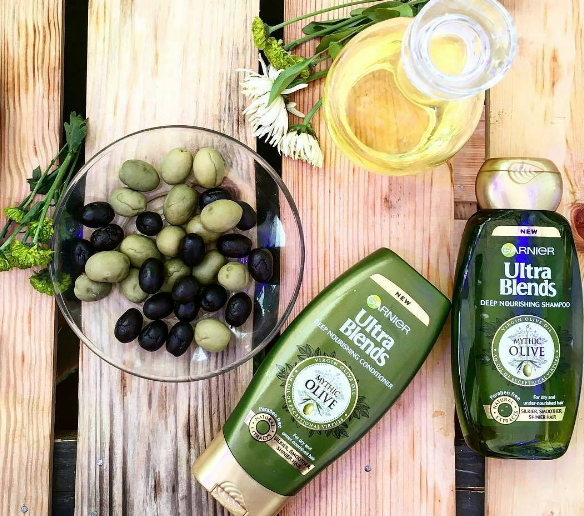 Garnier Mythic Olive nourishes and rejuvenates as Olive is meant to contain antioxidants which fight free radicals and makes our hair glossy and full of grace. 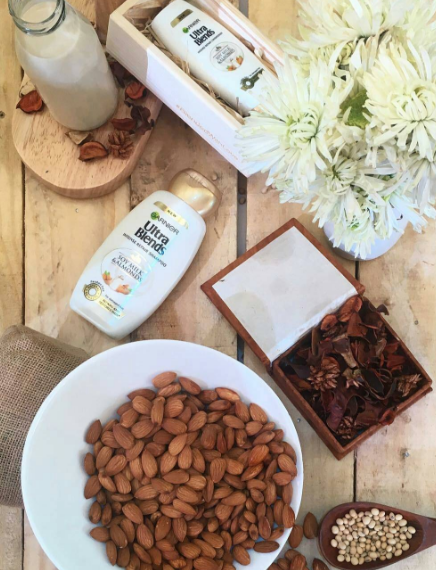 Garnier Soy Milk and Almonds is the healthy blend of protein rich Soy Milk and Almonds, which replenishes and restores the softness of the hair, and provides deep nourishment, respectively. Thus, each blend is made with special care and consideration, devoid of any parabens, thus making it safe and healthy for our hair care. 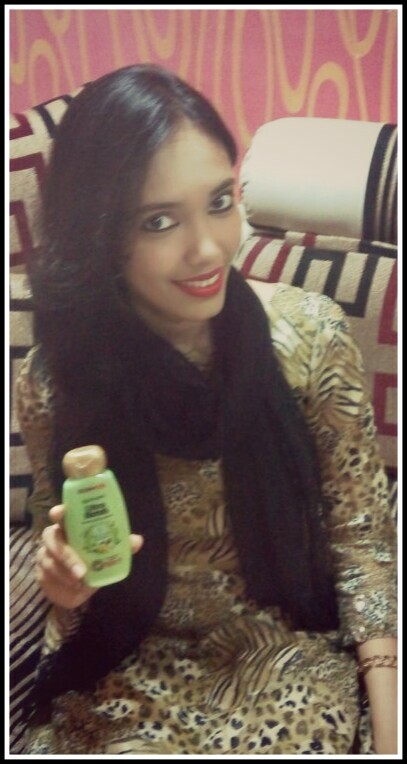 Why I choose Garnier Ultra Blends? 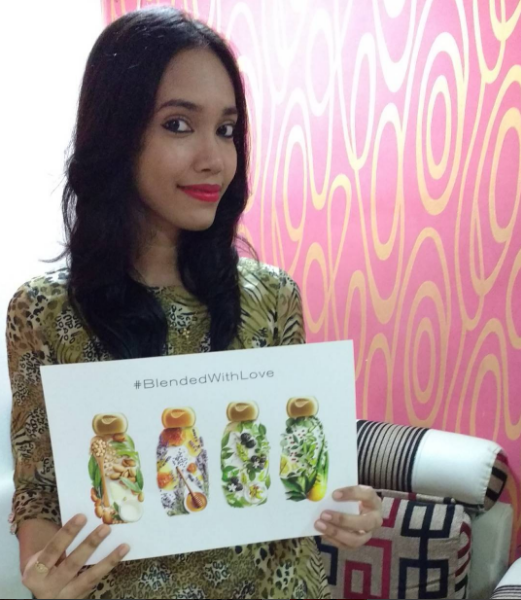 I choose Garnier 5 precious herbs for my hair as it matched my hair requirement and gave it the needed nourishment and beauty, as it is the perfect #BlendedWithLove hair care solution for me! 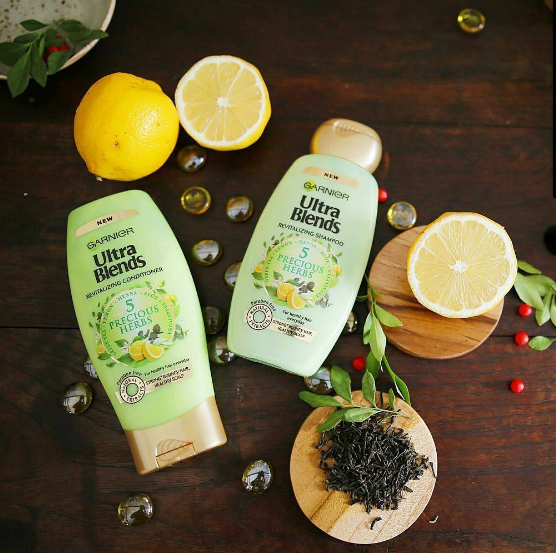 Have you tried Garnier Ultra Blends yet? Which one blended with you? Share your experience and opinions in the comment section. Next Next post: Online Shopping made easy with AspectWise!